I grew up with parents and grandparents who lived through The Great Depression, so I learned some valuable lessons about frugality by the way they lived their lives. Lessons like saving for the things you want rather than buying on credit, following a household budget so you can pay your bills on time, and never wasting anything, including the electricity to power a light left on in a room after you’ve left, the cold air in the refrigerator that escapes when the door is left open too long, and the crumbs in the bottom of a box of corn flakes that can be used in the meatloaf. The lessons about not wasting edible, usable food have had the most lasting impression on me. When I was a college student on a very limited budget, my frugal food skills helped fill many gaps in my diet, like freezing the milk in my fridge in ice cube trays before leaving for extended breaks so I could thaw it and use it in cooking when I returned. Then once I graduated, got a job and had a full pantry and bank account, I still couldn’t bear to toss out a mangled crust of bread. Instead, I’d freeze it with other random pieces to be turned into crumbs the next time I need some. And I can’t stop myself from checking the misshapen fruits and vegetables in the discounted bin at the grocery store. If more of us would buy them it would go a long way to reducing the 36 million tons of edible food that get tossed out every year in the United States. If it shocks you as much as it does me that so much food in this country is wasted while so many people do not have enough to eat, you do not have to wait for new government regulations to make a difference. There is plenty each of us can do right in our own homes to make sure we always use what we have and only buy what we need to avoid wasting food. This Infographic from the Academy of Nutrition and Dietetics tells the whole story and you can visit eatright.org for more information on healthful eating or to find a registered dietitian nutritionist. To help get you started, here are my top tips for getting every last bit of goodness out of the food I buy using some common household utensils. 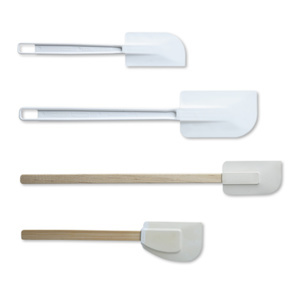 Rubber Spatulas – They come in assorted sizes, shapes and handle lengths to make it easy to scrape the insides of jars, cans, bottles and other food containers. Without one you could be throwing out 2 tablespoons of mayonnaise in every quart jar and a teaspoon of tomato paste in every 6 ounce can. 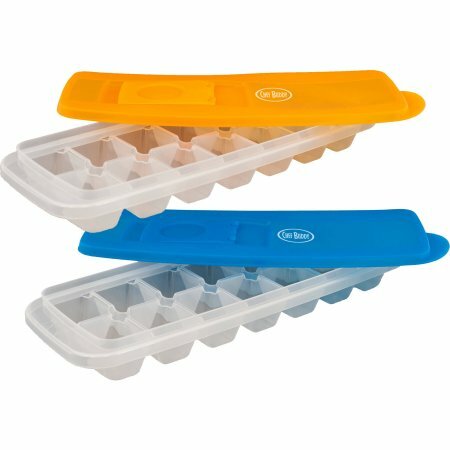 Ice Cube Trays – This is the perfect way to save and freeze any extra stock, sauce, or gravy you have, or the milk before going on vacation. Just pop the cubes out once frozen and store in a labeled zip-top bag. Trays with lids help prevent spills and the transfer of odors from other foods. Ice cube trays can also be used to freeze fresh herbs that have been cleaned, trimmed and chopped and fruit juices, pulp or puree that can be used in smoothies. 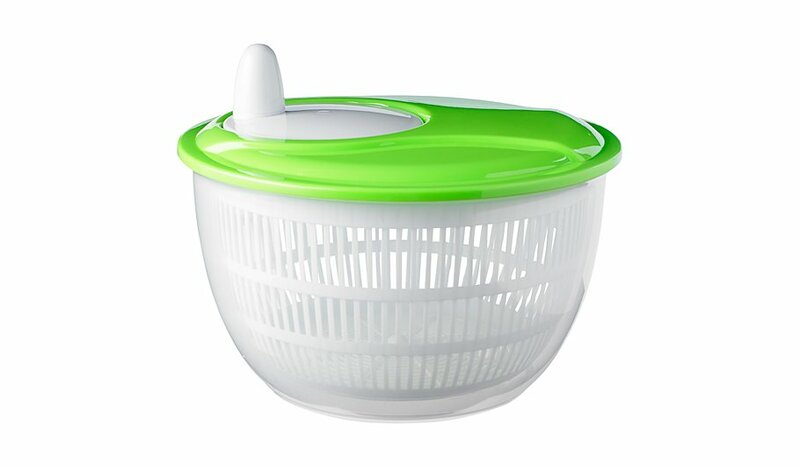 Salad Spinner – You may not have to toss that limp looking lettuce, just give it a rinse in cold water and a spin to bring it back to life. If it doesn’t revive enough for salad, chop it and add to a soup or smoothie. Spinning washed salad greens, herbs, and berries before storing in the refrigerator also helps to keep them fresh longer by removing excess water. 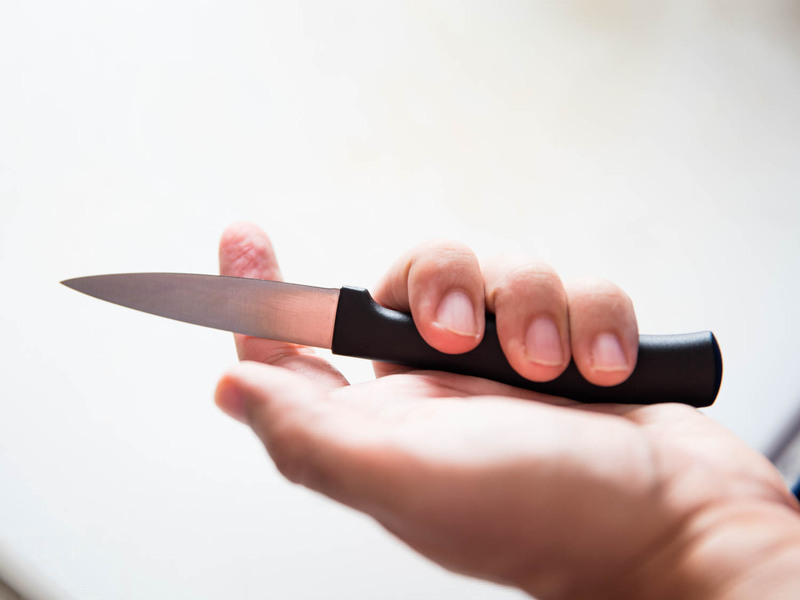 Sharp Paring Knife – By cutting away the blemished part of many types of produce (potato, bell pepper, carrot, apple, pear, winter squash) you can eat or cook the remaining portion without risk. Removing all around the moldy edge on a piece of hard cheese or hard salami is also a way to save the rest. 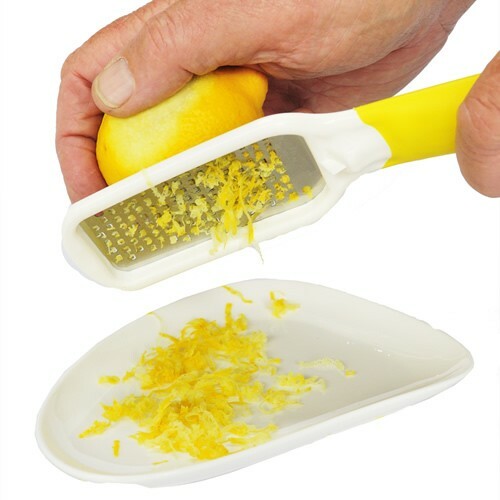 Citrus Zester or Microplane There’s plenty of flavor to be salvaged from those lemon, lime and orange rinds, so be sure to wash and rinse them and collect what you want before cutting the fruit for other uses. You can put grated zest, strips or strings in a labeled jar or zip-top bag in the freezer to have on hand when a recipe calls for it. Add water, vinegar or wine to near-empty mustard and catsup containers, close cap tightly, shake, and then add to soups, sauces, or dressings. Add milk to near-empty containers of peanut butter, honey, molasses, jam, jelly, preserves, chocolate syrup, pancake syrup, or maple syrup, close cap tightly, shake and drink or add to a smoothie. Read more in Reducing Food Waste from Farm to Fork. Posted in Eating Habits, Eating Right, Farming, Food Preparation, Food Selection, Food Shopping, food supply, Food Waste, Hunger, Moderation, Servings Sizes and tagged food waste, kitchen utensils, leftovers, ugly produce.